Make a big company impression and serve the Singaporean marketplace by getting a Singapore mobile accessible toll free phone number. Toll-free Singapore numbers establish caller confidence that a standard Singapore landline number cannot match. Penetrate the Singapore marketplace and accelerate new customer acquisition by creating a direct communication line from Singapore to your number in any country with a Mobile Accessible Singapore business phone number. Why a Singapore Phone Number? Expanding into Singapore requires an understanding of the local customers and customs. This includes a clear line of connectivity between Singapore and your office, no matter where your phone is located geographically. When doing business in Singapore, offering a Singapore business phone number is thought of as a necessity for transacting international business. Ordering a Singapore phone number with international call forwarding capability is an easy cost-effective strategy that immediately places your business in Singapore with a familiar Singapore Phone Number. Yes the Singapore calls to your virtual number originate in Singapore but are instantly diverted to your phone located in any country worldwide. For instance, a Malaysia company could order a Singapore phone number for its Singapore customers to call instead of listing a traditional Malaysia phone number. This simple step can eliminate customer concerns about calling Singapore due to international calling costs. A petroleum products company based in China may want a Singapore phone number to make it easy for China partners to reach them easily in addition to having a local phone presence to compete with local Singapore contenders. Getting a Singapore phone number is an effective strategy that instantly creates an impression in the minds of the Singaporean business community. Obtaining a Singapore phone number is a simple matter of signing up. You do not need a physical location in order to establish a Singapore "office." By ordering a Singapore phone number with call forwarding, you can designate where you want the calls to be routed. Your "ring to" phone number can be located virtually anywhere. For example, you could receive Singapore phone calls in China, Hong Kong, Indonesia, South Korea, USA, to a mobile phone or landline, PBX, call center or VoIP/SIP. 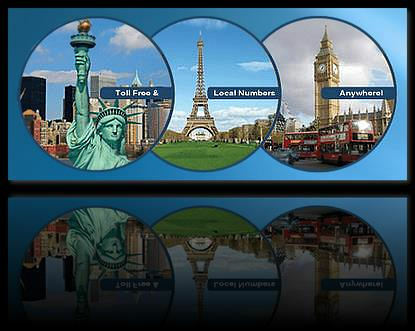 Call forwarding service offers more than the ability to receive calls from Singapore. When you take advantage of the numerous features available to you, your phone number can serve as a virtual PBX. For example, online account management tools make it easy to: change 'ring to' numbers on the fly, create custom greetings, adjust how calls are handled based on the time of day it is in Singapore. For instance, have your calls divert to your cell phone in daytime and another number at starting at 6pm automatically. Or have all calls go to voice mail, and receive email notification with the voice mail. Faxes are accepted by your Singapore virtual number and forwarded to your email. Extensions can be set up and IVR features enable you to be very creative and design your own custom voice mail system well beyond the default. Singapore has developed the status of a world leader in telecommunications through the building of a high quality and extremely progressive regulatory environment for the local telecommunications sector that has, in turn, generated a highly competitive market. Growth in number of fixed lines in Singapore has remained relatively stable over the period from 2012 to 2017. Growth in telecom services in Singapore is now dominated by the mobile segment. Penetration of fixed lines is expected to remain stable or drop slightly, in the period from 2018 to 2020. In its efforts to maintain Singapore’s status as an ICT market leader, the government launched its plan for a nationwide fibre-based broadband network: the Next Generation Broadband Network (NGNBN). The roll out and deployment of this national network has effectively been completed and there is rapid take-up of fibre-based services. Singapore has been working to shape itself into what it says will be the world’s first ‘Smart Nation’ where data and analytics play a critical role in its society and economy. Smart Nation is Singapore’s vision to tap into the potential of technology to improve the lives of citizens and create greater opportunities for business. Singapore’s mobile market has displayed slow growth over the last few years due to a highly mature market with penetration reaching 149% by 2017. However the market over the next five years to 2022 is unlikely to grow much further. The ‘mix’ of mobile services is rapidly changing, with 2G having almost disappeared, 3G numbers declining and Long Term Evolution (LTE) / 4G service offerings continuing to expand rapidly. Competition is now heating up in Singapore’s mobile market with a fourth provider Australian telco TPG Telecom set to launch services shortly. TPG Telecom has recently won the right to become the city-state’s fourth mobile network operator (MNO), defeating MyRepublic, another operator that has been trying to enter the local market over the past few years. This is likely to see increased pressure on SingTel, Starhub and M1, potentially triggering another price war which is likely to lower ARPUs over the next two years to 2019. The launch of third generation (4G) services by all three operators and the subsequent development of this platform has been a transformational move for Singapore’s mobile market and has seen the adoption of new generation services steadily increase. The eventual launch of 5G services will further this transformation. 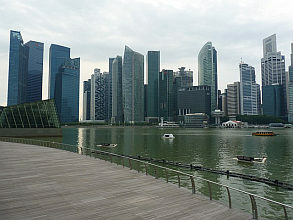 Singapore boasts an elaborate inter network, with around 100% of internet households having broadband access. The government has continued to maintain a strong commitment to making broadband access widely available to the population and at the same time lifting the overall quality of the access. Wireless broadband has seen strong growth over the past few years driven by the migration to the NGNBN. By 2018 wireless broadband penetration is predicted to reach over 200%. Optical fibre broadband also has seen strong growth as customers migrate to the NGNBN’s optical fibre network. xDSL on the other hand has seen a decrease in usage and cable modem broadband also has been experiencing declining subscriber numbers. Slow growth in the fixed broadband market is predicted over the next five years in a mature and saturated market. Market penetration is predicted to increase moderately by 2022.